New research is shedding light on why some breastfeeding women have a low milk supply. Insulin, the hormone that transports sugar from the bloodstream to the body’s cells, may play an important role. With 10.8% of all women aged 20 years or older having diabetes and 20% having pre-diabetes, this finding could be the key to breastfeeding success for many new mothers. Women who exhibit poor glucose metabolism such as those with pre-diabetes, diabetes, and who are older or overweight usually take a longer time to begin producing milk. New research is now showing that insulin receptors are switched on during lactation, leading researchers to believe that women with insulin resistance may have a low milk supply due to altered function of this important hormone. There will be future studies carried out to determine if a drug used to control blood sugar in type 2 diabetes may boost insulin’s effectiveness in mammary glands, but the best way to prevent low milk supply is to prevent insulin resistance in the first place. Below are the best strategies to prevent the development of insulin resistance and improve overall health while you’re at it. One of the best ways to prevent insulin resistance is by being at a healthy weight before becoming pregnant. Making healthy lifestyle changes if necessary and gaining the recommended amount of weight during pregnancy will greatly reduce the risk of developing diabetes. Strategies to prevent excessive weight gain during pregnancy include the addition of fruits and vegetables in place of energy dense, low-nutrient foods such as pastries, chips, and sweetened beverages. By doing this women can increase fiber and water intake and feel more satisfied with fewer calories. Examples include replacing potato chips for vegetables and low fat dip, adding fresh berries to low fat yogurt, and replacing the croutons and cheese in your salad with grapes, low fat cheese and a portion-controlled amount of a heart-healthy dressing such as olive oil and vinegar. Also, it’s been shown that people consume fewer calories at a meal if they eat a salad first. Fruit juice should be consumed in moderation as the skin and flesh of the fruit which contains the fiber has been removed. Because of this, the sugars in juice are quickly absorbed into the bloodstream and can spike blood sugar. Additionally, fruit juice does not provide many of the beneficial vitamins and minerals that it once could in its original, unprocessed form. Women who have gestational diabetes should be especially careful to avoid fruit juices. A good strategy to control consumption is to dilute a small amount of juice with sparkling water which provides refreshing flavor without too much added sugar. And don’t be fooled into thinking that if a juice is “100% juice” that it’s healthy. 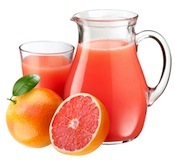 If sugars aren’t added, juice still contains natural fruit sugars which add calories. A 12-ounce bottle of grape soda has 159 calories whereas the same amount of unsweetened grape juice has even more (228 calories). Though unsweetened grape juice is still a better choice than soda because of some of the vitamins and antioxidants it contains (plus the artificial ingredients it leaves out), it should still be consumed in moderation to avoid the excess calorie consumption for little nutritional value when compared to whole fruits. Studies have found that women with the highest intake of animal protein have a much greater risk of developing gestational diabetes than those with the lowest intake! Findings have shown that substituting 5% of animal protein for vegetable protein could cut the risk of gestational diabetes in half. 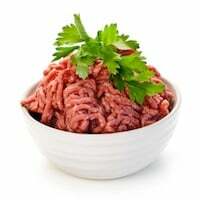 Research has also shown that the substitution of red meat with poultry, fish, nuts, or legumes demonstrated a significantly lower risk of developing insulin resistance. A plant based diet is recommended as a healthier way of eating than one that includes more animal protein- especially from red meat. When it comes to diabetes prevention, fiber is a key ingredient in keeping blood sugars within a healthy range. There are two types of fiber: insoluble and soluble. Both should be included in a healthy diet to reach the goal intake of 28 grams/day for women and 36 grams/day for men. Research is finding, though, that soluble fiber in particular may be the type we should focus when it comes to preventing type 2 diabetes. Soluble fiber is found in barley, oats, legumes, and root vegetables. This type of fiber absorbs water making the contents of the stomach more gelatinous and viscous. This binding nature causes nutrients from foods, including sugars, to be absorbed more slowly into the bloodstream, thereby reducing rapid spikes in blood sugar after eating.